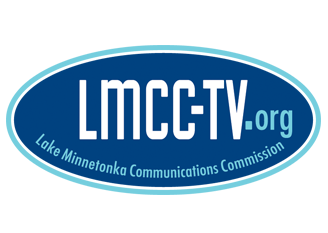 All contents of this site are the property of the Lake Minnetonka Communications Commission (LMCC), and may not be reproduced, distributed or retransmitted without prior written consent. Production stills are used with the permission of the Producer and may not be reproduced, distributed or retransmitted without prior written consent. To the maximum extent permitted by applicable law, the LMCC is not responsible or liable to you as a result of, or in relation to, your use of this site for direct, indirect, incidental, consequential, special, exemplary or punitive damages, or any other damages based on harm to business, lost revenues, lost savings, loss of investment, lost profits, loss of opportunity, loss of data, loss of goodwill, costs of replacement services, or other direct, indirect or consequential loss, harm or damage. The LMCC has made reasonable efforts to ensure the accuracy of the information provided in this website. However, due to the possibility of unauthorized access to this site, data transmission errors, changes made since the last update to the site, or other human or mechanical errors, the information contained on this website should not be deemed reliable for legal purposes. Please contact the LMCC to verify the accuracy of information. All content posted on this website is provided "as is," without warranty of any kind. Links are provided solely for informational purposes and do not express the views or opinions of the LMCC. Links are not monitored for content or accuracy. Links are provided "at your own risk." The LMCC is committed to protecting your privacy. The LMCC does not buy, sell, or share mailing lists. A breakdown of our policy is listed below. When you visit the LMCC's website and access information, you remain anonymous. We do not require you to register or provide personal information to view the site. The LMCC has a strict policy against buying, selling, or sharing mailing lists. Under this policy, personal information provided to the LMCC is never shared or sold to any other organization - public, private, or nonprofit.